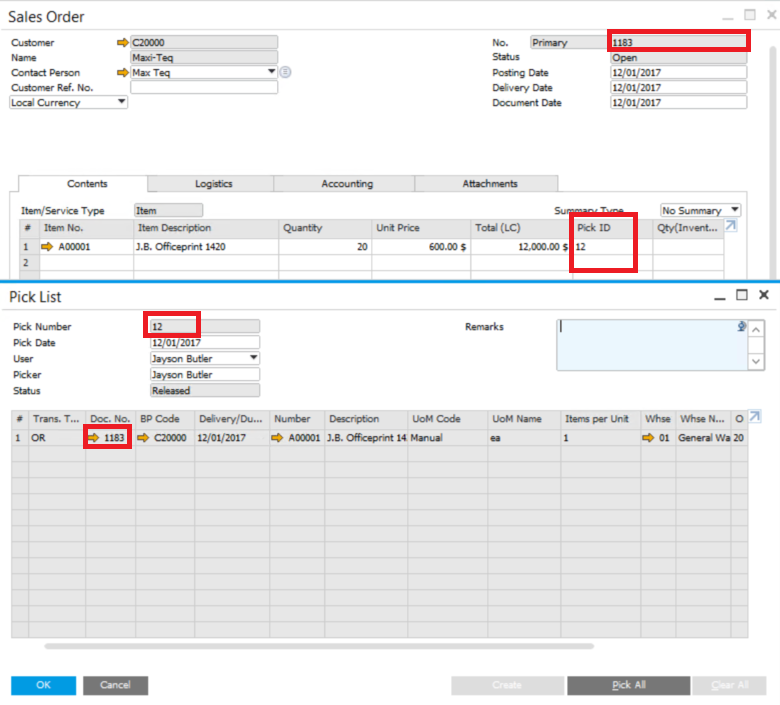 Pick and Pack in SAP Business One lets you automate the processing of sales orders, A/R reserve invoices, production orders, and inventory transfer requests in an orderly way, from the creation of pick lists up to packing items for shipment with delivery documents. In this article we will focus on three questions and discuss about them. Where is the line item in Pick List? 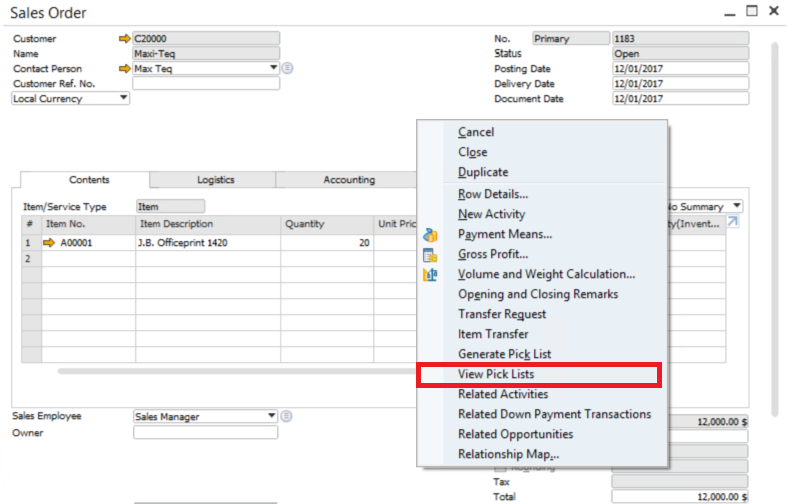 Usually we have two ways to delete Pick Lists in SAP Business One. We can delete them one-by-one or close the whole document. If we choose the first way, the line will be deleted and the Pick List will be empty. 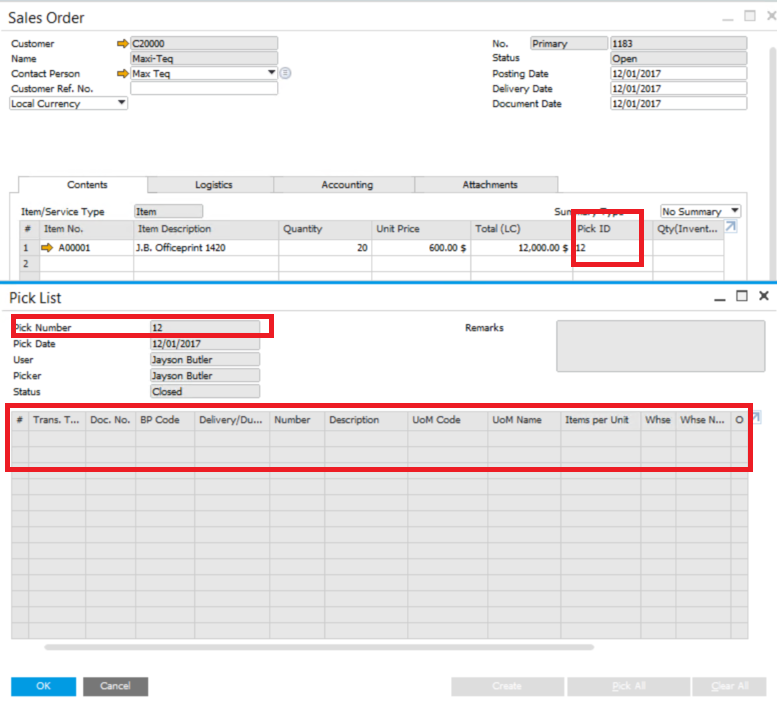 Create a Pick List based on a Sales Order. The first way is to delete the item one-by-one. 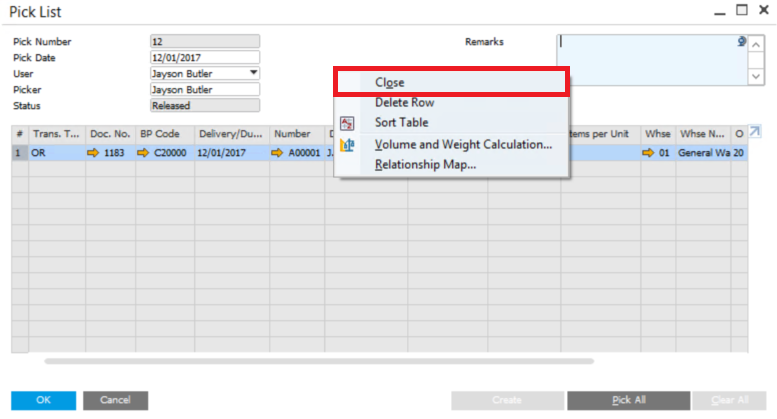 Here we move the mouse on the item and right click “Delete Row”. 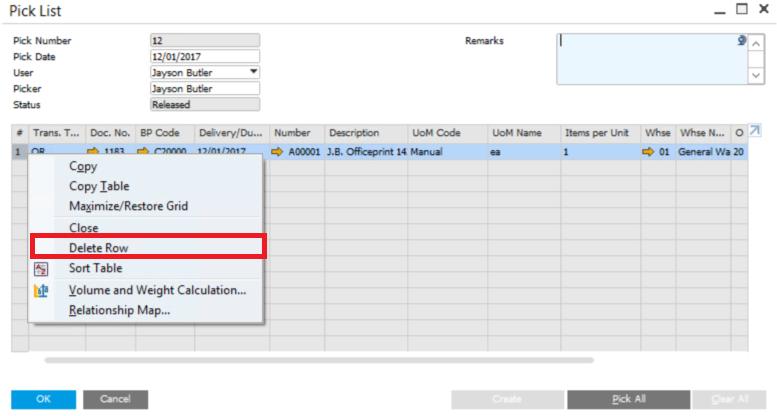 When all the items are deleted, the document will automatically be closed and the file will be empty. In the second way, we may close the whole Pick List document. Right click and choose “Close”. 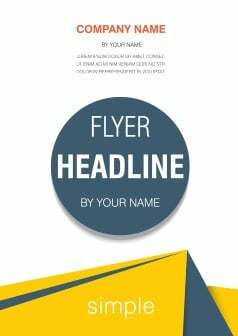 The line will remain in the document but the document cannot be changed anymore. 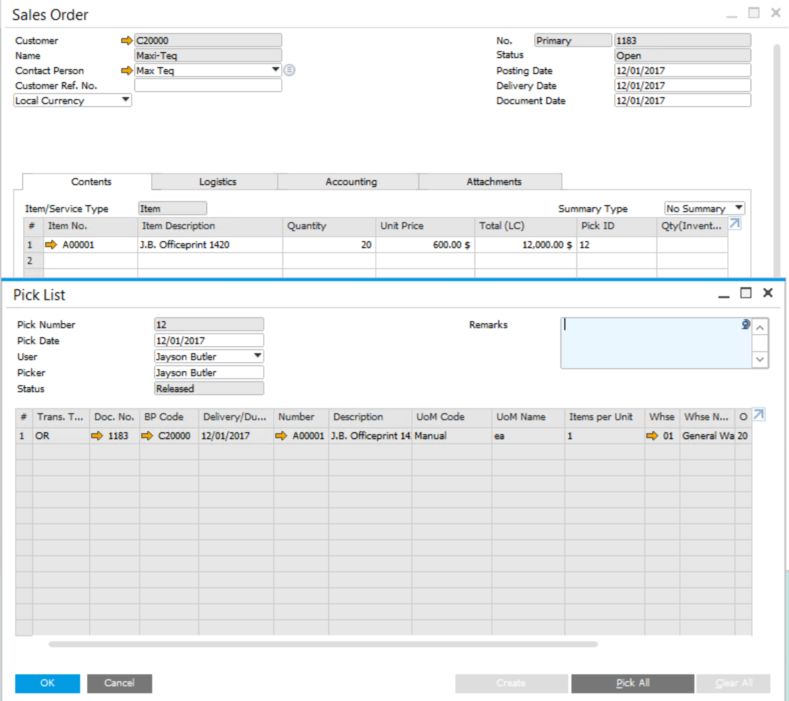 The Pick List 12 is created correspond with the Sales Order 1183. The line in the Pick List is deleted and the document is closed, but the Pick ID remains as 12. The Pick ID will renew after you create a new document. 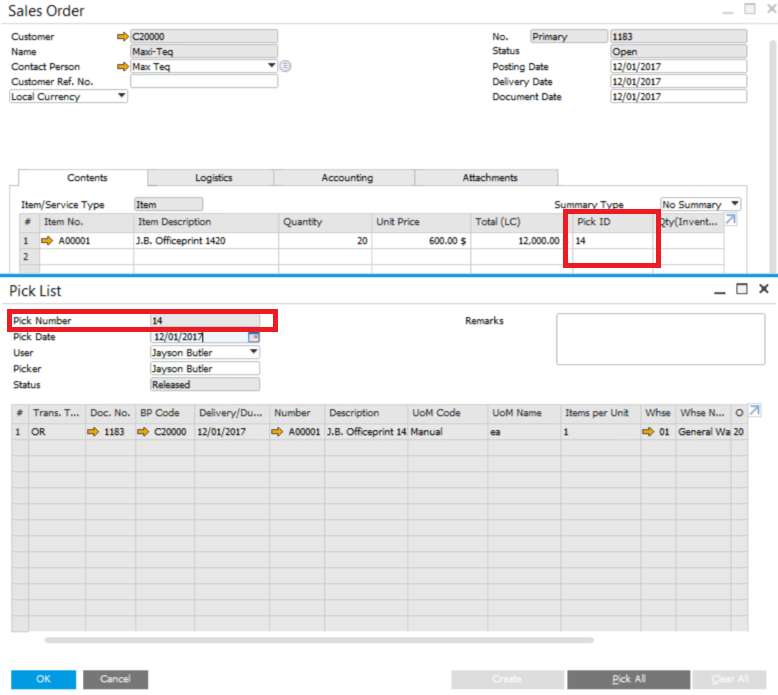 Sometimes users might create multiple Pick Lists for the same line. For example, the quality of an item is huge, so the employee doesn’t release them at once. 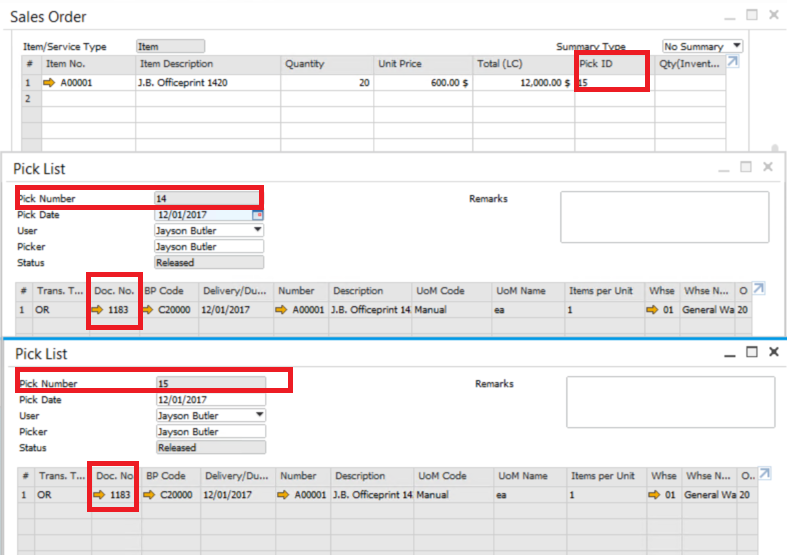 For this situation, the Sales Order will only show the last created Pick List ID.